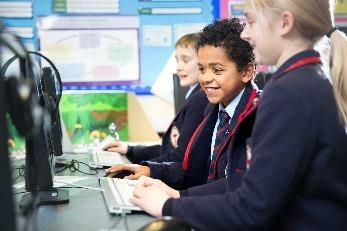 All the children from Years 1-8 receive one hour of ICT and Computing lessons each week. Lessons take place in our state-of-the-art IT room which has touchscreen computers. In addition to this equipment, we have over 50 iPads for the pupils to use throughout the school. These lessons also include E-Safety work and every year group learns a different element of E-Safety each year. In Computing lessons pupils learn about computer programming. In Years 1-6 they follow the Espresso Discovery Coding. The children create their own games and apps and learn important vocabulary associated with coding such as algorithm and variable. They also learn to code using Scratch and Kodu. In Years 7 and 8 pupils use programs such as Code Academy which is an introduction to computer languages such as HTML, Python and Ruby.